Hebrew Tutor teaches over one thousand words used in the Bible and daily Hebrew conversation. Just imagine how good it feels to control 1000 word Hebrew vocabulary. Approved by the New York State Board of Education. You do not have to be going to Israel to be interested in Hebrew Tutor. Hebrew Tutor teaches over a thousand words used in Tanach and daily Hebrew conversation. Just imagine how good it feels to control a 1000 word Hebrew vocabulary. One thousand words in Hebrew is a lot, after all most of us do not use that many different English words in the course of a days conversation! 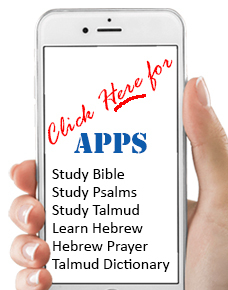 Now with Hebrew Tutor you can become proficient and enjoy your Hebrew home work, Bible, Chumash and Navi Class. The program grades you and corrects your mistakes. It will also keep track of your progress so you can monitor your own steady improvement. And if by any chance you are headed to Israel, you will not sound like you just got off the boat. Hebrew Tutor will not only teach you the words it will pronounce the words in a clear human voice with the correct Israeli inflection. And do not worry if you missed the pronunciation the first time the computer will repeat it, and repeat it until you get it right. This way you will be able to train your ear to the sound of a genuine Hebrew. Hebrew Teacher is approved by the New York State Board of Education. Beats going to ULPAN! Works faster as well.